– Kansas’ Sharon Lokedi sharing her thoughts on finally winning her first NCAA title in the 10,000m after previous NCAA finishes of 10th, 6th, 6th, 5th, 3rd, 3rd, and 6th. Only real benefit of high mileage = weight loss/maintenance? Gender equity!? Barriers for women's steeple set at men's height!!! Is it weird that neither of my parents watch movies? World Cup starts a week from today. What happened to Ariana Washington? NCAA decathlon champ is the ONLY guy in field who hasn't broken 5:00 for 1500. 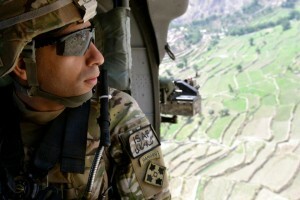 What can we do to help him? MB: Official 2018 NCAA Outdoors Day 3 Discussion Thread The meet has started with a bang. Who needs hot weather. It’s cold and rainy and yet Houston just smashed the 29-year old 4x 100 record. LRC Final Sharon Lokedi Wins NCAA 10,000m As Six Women Break 30-Year-Old Meet Record Great run by Lokedi. Full recap with video of finish. LRC Women’s Day 1 Recap: Comeback Stories (& Fast Times) In The 1,500, A Great Day Of Sprinting, & A Slugfest Is Brewing In The Team Competition A great day of action. The only bad news is the weather forecast for Saturday – cold AND rain. 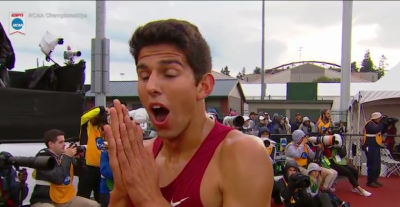 NCAA decathlon champ is the ONLY guy in field who hasn’t broken 5:00 for 1500. What can we do to help him? 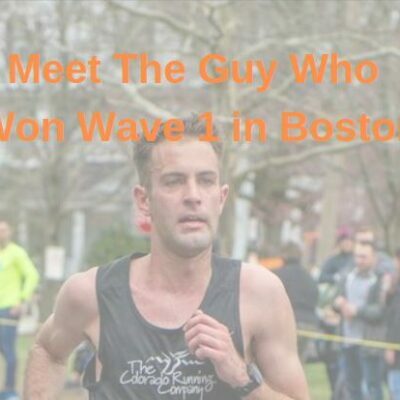 LRC Predictions And Favorites For All The Running Events At NCAAs We tabulated the votes in our Running Warehouse prediction contest. LRC Upset City! Michigan’s Ben Flanagan Stuns Everyone To Win 10,000m Title Ben Flanagan had never broken 29 minutes in his life before Wednesday, but he believed in himself and he stunned the NCAA track and field world by winning the 10,000m title. LRC Day 1 Recap: Terrific Field Action As Denzel Comenentia Leads The Meet By Himself, Josh Kerr Is Thinking NCAA Record, & Florida’s Title Chances Take A Hit A great day 1 is in the books and Comenentia won the hammer and the shot. Full Day 1 Results On 1 Page Ben Flanagan of Michigan pulled the upset in the men’s 10,000m, Chris Nilsen of South Dakota broke the NCAA meet record in the pole vault, and Georgia’s Denzel Comenentia won the shot put and the hammer throw. Grant Holloway of Florida was a non-scorer in 9th in the long jump. LRC On the Eve Of The Final Meet At Hayward Field, A Tribute To American Track And Field Legend, “The Magician,” Bill Dellinger Dellinger may be most known for coaching at Oregon but he got an Olympic medal in 1964 as well. Worth a read/quick watch. 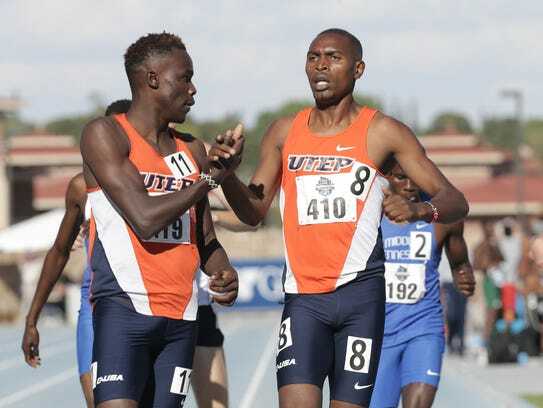 A Look At UTEP’s Forgotten Man – Jonah Koech Koech, who beat NCAA record holder Michael Saruni twice at conference, has opted for the 800, not the 1,500, at NCAAs as that’s where his passion is. USF’s Charlotte Taylor Tries For Another NCAA Title In 10,000 Taylor, who grew up playing soccer with boys, describes herself as a “vicious” as a child, is 1 of 13 foreigners on the team and they are getting 6 more for next year. Oregon Women Will Fight To Retain Their NCAA Women’s Track Title This Week They are seeded 3rd – 4 points out of 1st – but easily could win if Arianna Washington, the 2016 NCAA 100 and 200 champ, returns to form (but she’s not projected to score). 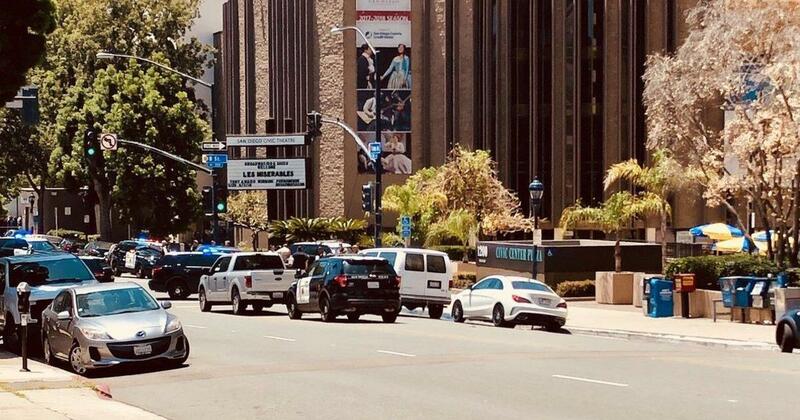 The San Diego Tribune: Police Arrest Woman Shooter In Downtown San Diego Near Rock ‘N’ Roll Marathon She was only armed with an airsoft gun, but an officer accidentally shot himself while pursuing her (his injuries aren’t life threatening). LRC Solid Distance Results At The 2018 Music City Distance Carnival Highlights included Emily Richards (2:00.67) and Thomas Staines (1:45.57) taking the 800 wins and steeple wins from Genevieve Lalonde (9:38) and Anthony Rotich (8:34). 4:05.69 win by Marta Freitas in the 1,500. RRW: Sarah Pagano Wins Freihofer’s Run With Big Final Surge Diane Nukuri had a small lead towards the end, but Pagano surged past her in the final kilometer to win in 15:48 with Stephanie Bruce 2nd (15:53) and Nukuri 3rd (15:56). Anna Hall Breaks National High School Heptathlon Record with 5798 She destroyed Kendell Williams‘ record by 220 points and she’s only a junior in HS. Katelyn Tuohy Runs Double US#1s Ahead Of New York State Meet 4:22 for 1,500 and 9:15 for 3k at the same HS meet is pretty darn impressive. Bahamas 400 Runner Steven Gardiner Shares The High And Low Of His Career Apparently third time was the charm for Gardiner as e won World silver last year after having the two lows of his career at Rio 2016 and Beijing 2015. IAAF: 100 Years After Her Birth, Francina “Fanny” Blankers-Koen’s Legacy Lives On She is most remembered for winning four golds at the 1948 London Olympics in the 100, 200, 80m hurdles and 4 x 100. 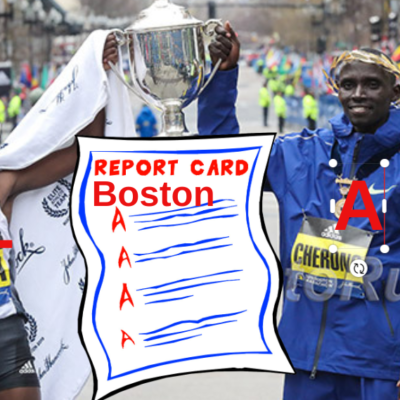 LRC Sara Hall Moves Into US Top 10, Linden Hall Breaks Aussie Record, Geoffrey Kamworor Cashes In, The LetsRun.com Singlet PRs Plus the news of an LRC visitor driving to the Pre Classic to find out the meet was already over and an update on Yomif Kejelcha who didn’t run Pre. LRC 2018 Adrian Martinez Recap: Ce’Aira Brown Goes Sub-2 Again, Marta Freitas 4:25 Mile, And After 15 Tries Leo Manzano Goes Sub-4 Congrats to Leo for sticking with it. LRC Women’s Steeple Barrier Set At Men’s Height At Oslo Bislett Games, Chaos Ensues Luckily no one was seriously injured. After things returned to normal, America’s world champ Emma Coburn nearly got the win. *MB: Gender equity!? Barriers for women’s steeple set at men’s height!!! LRC 2018 Bislett Games Recap: Elijah Manangoi Wins A Tactical Mile, Jakob Ingebrigtsen Beaten In 1,500 As Abderrahman Samba Amazes Again Norway is a rising power in athletics circles but none of their young stars – the Ingebrgitsens, Moen or Warholm – won today. 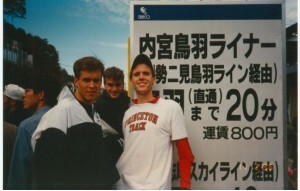 In other action, the rabbit won the men’s 10k and the British record fell in the women’s 100. *Reuters: After 200 Win, Guliyev Says He Wants Pietro Mennea’s European Record The 19.72 record has stood since 1979. *Recommended Read: New TJ American Record Holder Tori Franklin Credits A Lot Of Her Success To New Coach Andreas Pavlou, Whom She Met Thanks To A Random Airplane Encounter Franklin was 2nd in Oslo today. MB: Why isn’t Jakob Ingebrigtsen running the Dream Mile with his older brothers? *MB: Sydney McLaughlin going pro this summer???? Georgia’s Denzel Comenentia Has Historic Sweep Of NCAA Hammer And Shot Titles His double win puts Georgia in the lead after day 1. The Register-Guard: A Pair Of Meet Records Fall On Opening Day South Dakota’s Chris Nilsen in the PV (5.83m) and Mississippi State’s Anderson Peters in the javelin (82.82m). The Register-Guard: Long Jump Showdown Fizzles During NCAAs Day 1 It was supposed to be a battle between Oregon’s Damarcus Simpson and Florida’s Grant Holloway, but that never materialized as both athletes had poor showings in 9th and 10th, leaving Ohio State’s Zack Bazile with a dominant 8.37m win. Ken Goe: Women’s Title Is Up For Grabs As NCAA Meet Begins At Hayward Should be a five way battle between Georgia, USC, Oregon, Kentucky and Stanford. Recommended Read: Georgetown Runner Mike Crozier Finds Closure In NCAA 10k After Years Of Injury After more than two years of limping around with injuries, it took Croizer until a 6th year, but he’s going out in the best way with a trip to NCAAs. RR #2: Toledo Runner Janelle Noe Makes Comeback From Catastrophic Burns To Qualify For NCAAs Noe suffered life threatening burns over half her body and has battled over the last 2+ years to make her comeback and qualify in the heat at Regionals, despite her burns affecting her temperature regulation. GoFundMe For Geoffrey Cheruiyot’s Funeral Expenses Donations will cover flight expenses to Kenya for his brother and sister as well as other funeral expenses. Men’s Bowerman Award Pre-NCAA Watch List Distance runners on the list are Josh Kerr, Justyn Knight and Michael Saruni. Women’s Bowerman Award Pre-NCAA Watch List Karissa Schweizer is the only distance athlete to make the list. Bill Bowerman’s Sons Are So Against The Hayward Field Design They Made Phil Night Take Take Their Father’s Name Off The Nine-Story Tower Knight admitted that the criticism from the Bowermans and Steve Prefontaine‘s sisters has been disappointing and hard to take. Ken Goe Says Phil Knight And His Wife Should Get Final Say On The Hayward Field Reconstruction Since They Are Putting Up Most Of The Money He should get say, but it’s at a public university on their property and will affect thousands of athletes and fans for years to come. It should not just be his call. 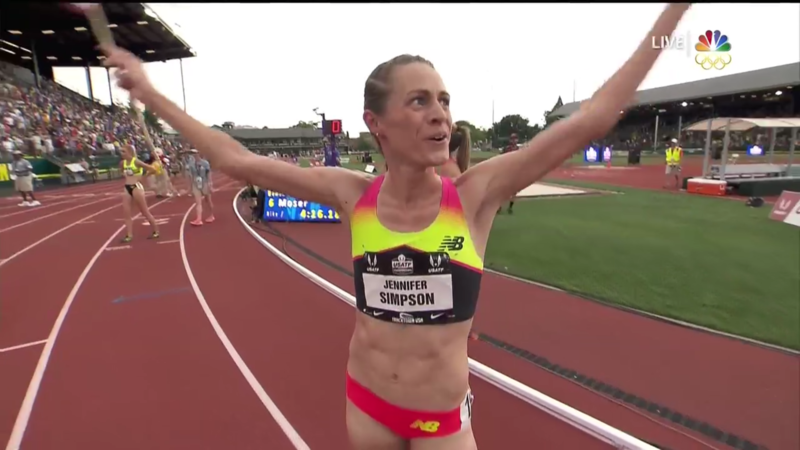 Hengelo: Full Results 2018 FBK Hengelo Games: Jenny Simpson Wins The Mile, 400 PR From Chrsistian Taylor Dafne Schippers, Sam Kendricks, Luvo Manyonga and Mariya Lasitskene with wins and Erik Sowinski a SB. *What!? Some guy I’ve never heard of just won the ncaa 10k!!! The unheralded Ben Flanagan of Michigan via Canada is your NCAA champ. 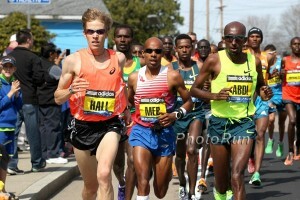 *Men’s 10k Thread – Men’s 10k is on!!! 29 point first 200. 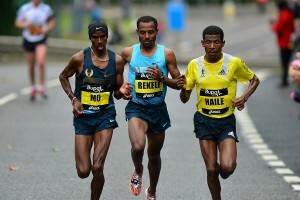 The first lap was 60.94 as the three Alabama Kenyans tried to break free but they have been caught. *WHAT THE HECK happened to BYU? The had the last, next to last and third to last finishers in the 10k. *Georgia’s 9.99 man Kendal Williams and Arkansas State’s 9.97 man Jaylen Bacon are OUT of NCAA men’s 100 after 1st round The Houston sprint squad is BRINGING it and have 3 guys in the final. 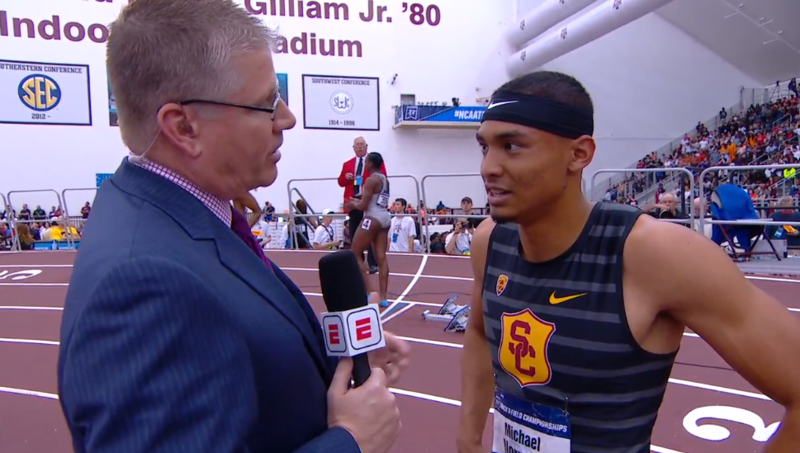 *LRC Post-Race Interviews We’re uploading them as the meet takes place, so mute ESPN and listen to this. Women Start Thursday LRC What To Watch At 2018 NCAA Outdoors For Women: Schweizer & Orji Go For #7, The Sydney McLaughlin Show, & Could The Last Race At Hayward Be A Classic? We give you our top 5 storylines for the final NCAAs at Hayward as it’s currently configured, starting with the great Sydney McLaughlin. 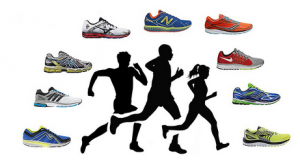 LRC $200,018 Running Warehouse Prediction Contest Is Here Simple to play. Give us your top 3 from our guide in the running events. LRC Which Distance Races Should You Be Most Excited About at 2018 NCAAs? We Rank Them All, #1 Through #10 We’ve focused our 2018 NCAA pre-meet coverage on the non-distance events, until now. From the men’s 5,000 (#1) to the men’s steeple (#10), Rojo ranks the distance events at NCAAs this year and then gives out his predictions. Men Start Wednesday LRC What To Watch At 2018 NCAA Outdoors For Men: A Historic 400, A Battle Of NCAA Champs In The 5K, & The Brilliance Of Holloway, Saruni, & Kerr We give you our top 5 story lines starting with an unreal men’s 400. Connor Clark (3:54) And Tracee Van Der Wyk (4:29) Win State Street Mile Titles In Santa Barbara Van der Wyk just beat out Kim Conley (4:30) while Clark won a close race over Reid Buchanan and Craig Lutz, who also both ran 3:54 (top 11 all were sub-4). 10-Year-Old Arielle Avina Wins Rock ‘N’ Roll San Diego 5K In 19:20 She’s the youngest female to ever win a RnR series 5k event. 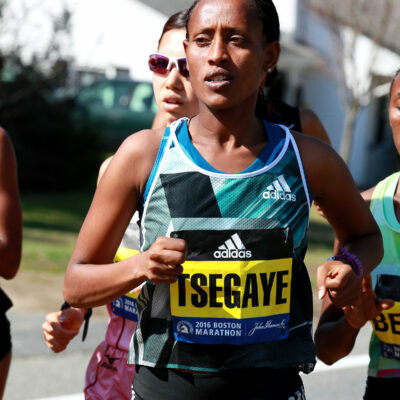 IAAF Is Celebrating Global Running Day With Series Of 24 One Mile Races In Cities Throughout The World The IAAF Run 24:1 starts in Auckland New Zealand and ends on the other side of the world in Vancouver, Canada. The USA run is in Los Angeles. *MB: Blake Leeper double-amputee 400 WR 44.42 in Prague Swimmers aren’t allowed to compete with fins on. Wheelchair racers don’t race Eliud Kipchoge. We have no idea why Paralympian 400 runners are allowed to compete against able bodied athletes in official competitions. If they want to do it as an exhibition, we are all for it but this is getting ridiculous. Rikenette Steenkamp Breaks 21-Year-Old South African 100m Hurdles Record With 12.91 In Prague Steenkamp has an impressive story as it was just 2016 when she had to relearn how to walk after having surgery to remove an extra bone in her ankle. USATF Weekend Round-Up A good run-down of the top USA results from the weekend for anyone who wasn’t reading the LRC home page the past few days. 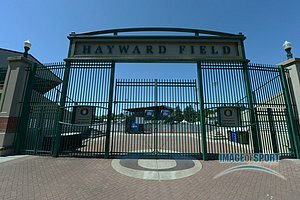 LRC With Hayward Field Set To Be Demolished, Pros Alan Webb, Matthew Centrowitz, Nick Symmonds, Christian Coleman And Jenny Simpson Recall Their Favorite Races At Hayward Some top pros of the post-2000 era recall their favorite Hayward races. Eugene Register-Guard Exclusive: Phil Knight Walked Away From Paying For Hayward Field Renovations Last Year; Worlds Weren’t Coming To US Until He Changed His Mind Great read that talks about some of the infighting behind the project. Read and discuss at link above. Jama Aden Update: He Could Get 4.5 Years In Prison, Prosecutors Say They Found Multiple Types Of EPO Pre-Loaded In Syringes And the crazy thing is no one has tested positive, showing how the smart people don’t test positive. Read and discuss at link above. *The Guardian’s Headline: “Former Mo Farah Aide Jama Aden Could Face Prison Over Doping Offences” When Aden applies for jobs, do you think “former Mo Farah aide” is the first or second line on his resume? Probably first. 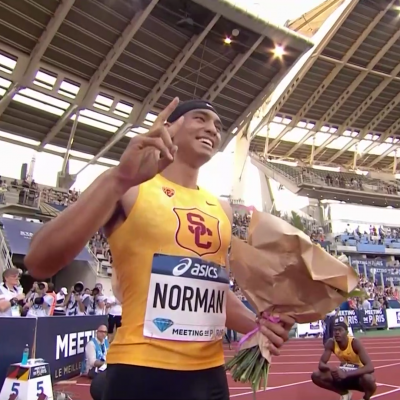 LRC Rome Recap: Ronnie Baker Is The Real Deal, Coburn Nearly Wins But Falls, Samba Sizzles, Manyonga And Echevarría Soar Ronnie Baker took it to Christian Coleman again, there was a great 400m hurdles and long jump, and Emma Coburn might have won the steeple if it wasn’t for a fall on the final water jump.